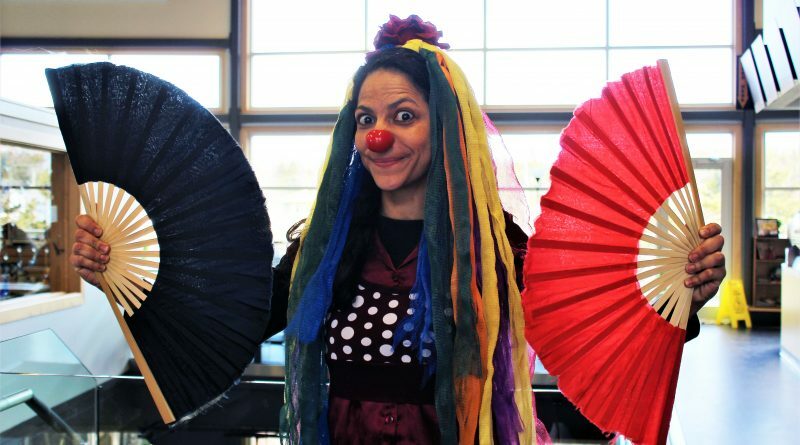 Vanessa Cardoso-Whelan hails from Brazil, where street performances are abundant and colourful clown personas are far more a common sight than here in Newfoundland, where she’s lived since 2014. Still, that has not stopped her from pursuing her passion. Whelan graduated from her studies in theatre arts in 2004. Since then, she’s been involved in a number of artistic ventures, including fire flow artistry, puppeteering, clown performances, and acting on stage as well as the street. Since making the move to Newfoundland with her family nearly half a decade ago, Whelan has found herself involved in a number of festivals across the province, such as the St. John’s International Circus Festival, the Lantern Festival, and the Brigus Blueberry Festival. Likewise, she has not shied away from the streets of Newfoundland, taking her clowning, flamenco dances, and living statue performances to the eyes of pedestrians in St. John’s and Conception Bay South. It’s during these performances that Whelan has the opportunity to perform for a wide audience of Newfoundlanders; many of whom may be completely new to Whelan’s particular style. She says this has been a welcome challenge, noting that back in Brazil, such performances are far more common. Whelan has also recently finished her first play that was written and performed entirely in English – ‘Remnants,’ staged by White Rooster Studios. As a non-native speaker of English, Whelan said she was happy to take the challenge head on, and was pleased with the reception the play received. Perhaps one of Whelan’s most prolific performances is as Fuah, her clown persona. Fuah roughly translates to messy, or wild – two words that describe Whelan’s clown counterpart almost perfectly. 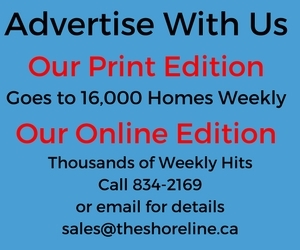 As time goes on, and as Whelan continues to solidify her place in Newfoundland’s arts community, she has begun to get the ball rolling on incorporating her unique artistry into community life in her new hometown of Conception Bay South. Alongside fellow dancer and yoga instructor Tina Baird, Whelan is aiming to introduce up-and-coming artists, as well as those just looking to delve into a new hobby, to her own passions in the performance arts. The local Lion’s Club in Long Pond is where this idea is blossoming. There, Whelan and Baird have been hosting what she calls a juggling jam. It’s in this space that Whelan would like to help put together some artistic workshops as well, noting that she has, in the past, taught Flamenco dancing. On top of this, Whelan is anticipating an exciting summer season as she aims to put plenty of focus on street performances hoping to drum up a solid local interest in this particular style of performing.